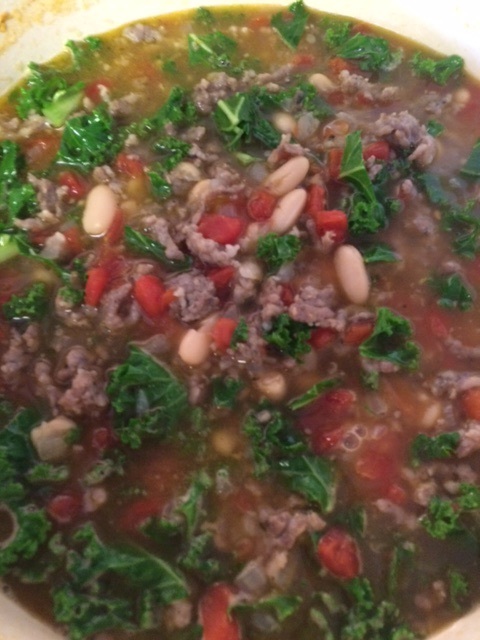 Sausage and Kale Soup | Let's Eat! 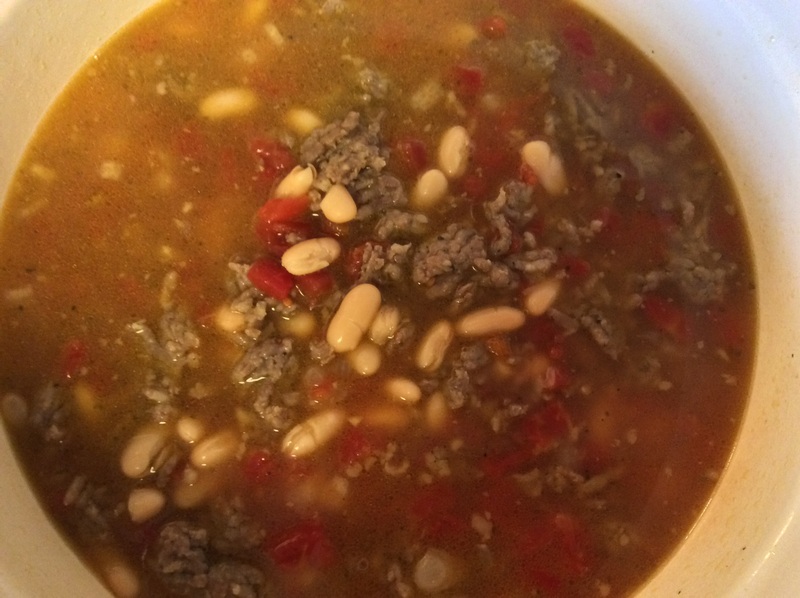 This is a great soup for a cold winter day. I have to admit, I’m not a big fan of kale, especially raw, but it makes a great addition to soup and combined with sausage, well, anything combined with sausage is better!! I found a version of this on the food blog “This is Emu” and decided to try it. I really didn’t modify it much, except I cut down on the Kale. The original recipe called for an entire bunch of kale cut up, but I added only about 2-3 cups. You can add more if you like it that way. I also used sweet sausage but hot or mild sausage would work just as well. In soup making, there are no rules!! Heat the olive oil in a dutch oven over medium heat. Add the sausage and cook until brown breaking it up with a wooden spoon. 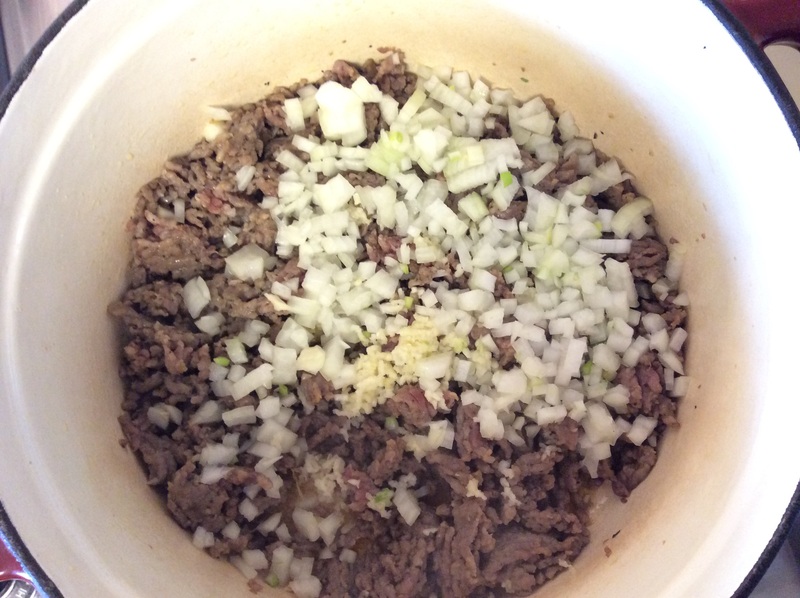 Add the diced onion and garlic and cook for 5-7 minutes or until the onion becomes opaque. Add the beans, broth and tomatoes and bring back to a boil. Reduce heat and simmer for 20 minutes, stir occasionally. Add the Kale and stir to combine and cook an additional 5 minutes. 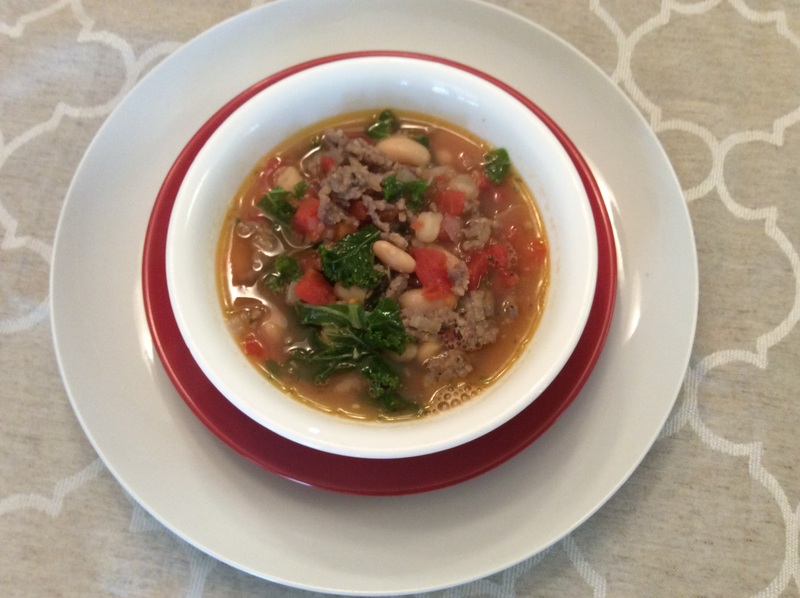 This entry was posted in Recipes, soup and tagged Sausage and cannellini, Sausage and kale soup, Sausage and kale stew, Sausage soup, Spicy sausage soup. Bookmark the permalink.